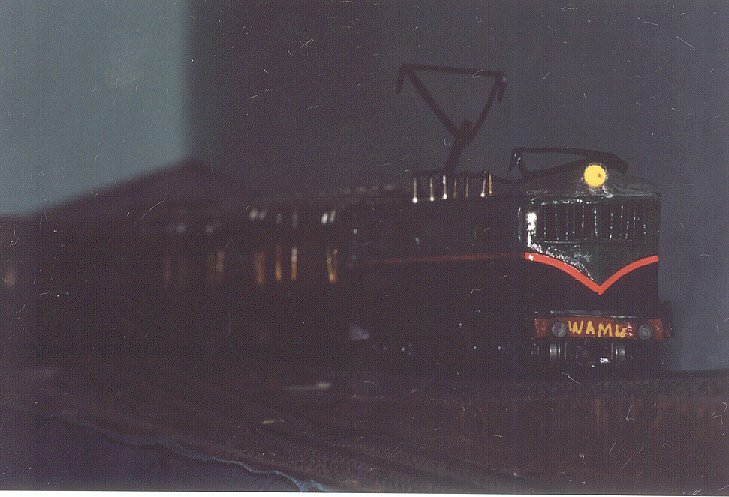 Introducing my good buddy Dinyar (Dinky to all his friends). 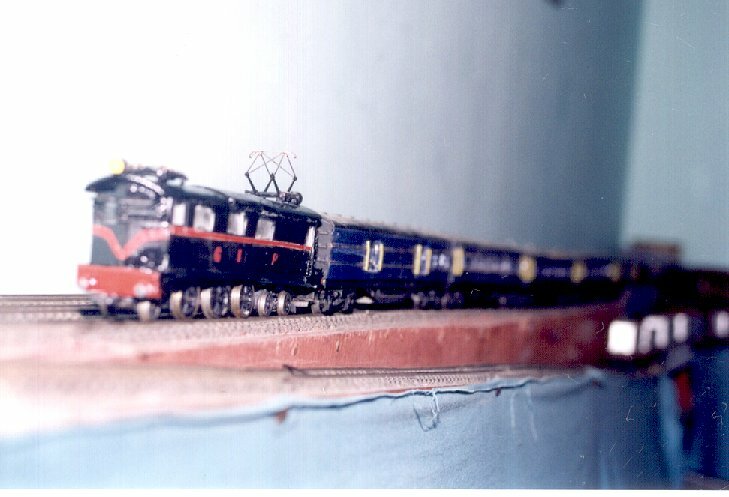 He is a respected teacher of choral music and quite a celebrity in Pune's western music circle. 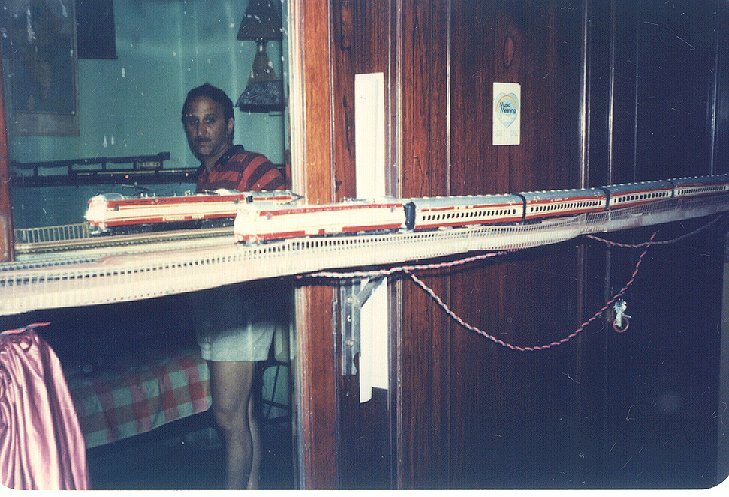 This is the layout in his bedroom. 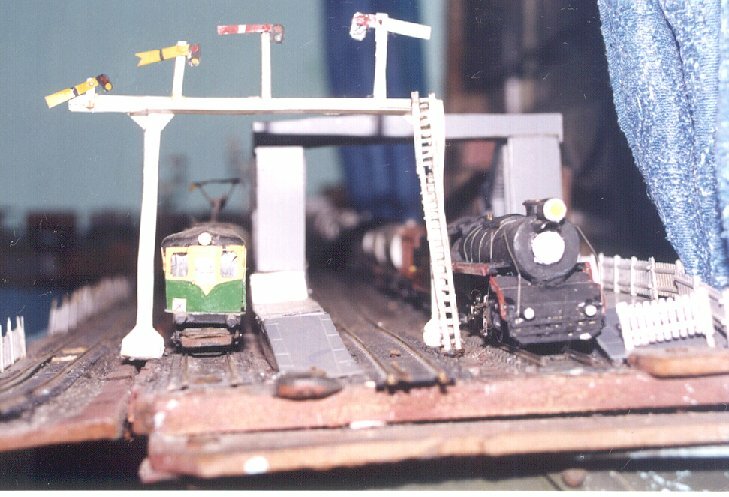 You have to duck under the tracks to get in. 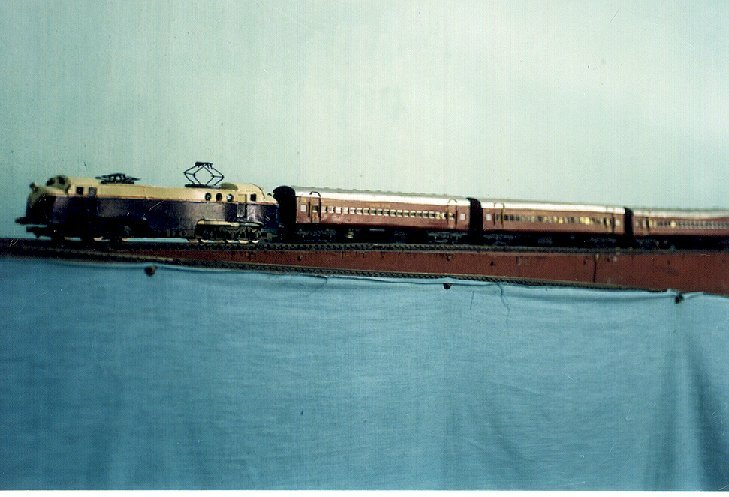 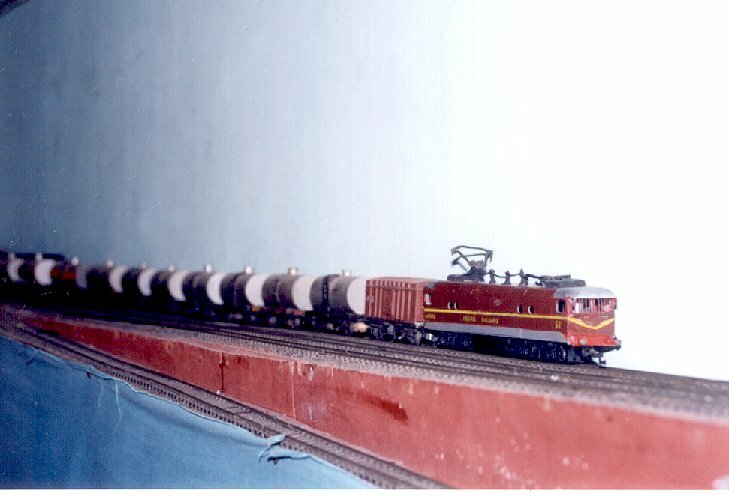 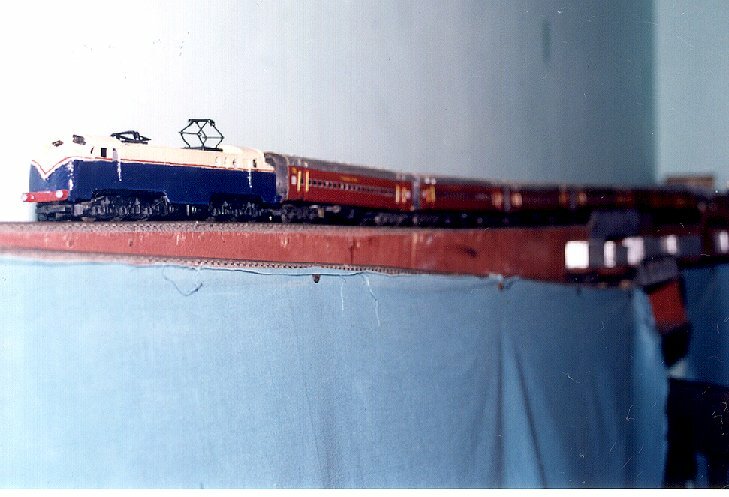 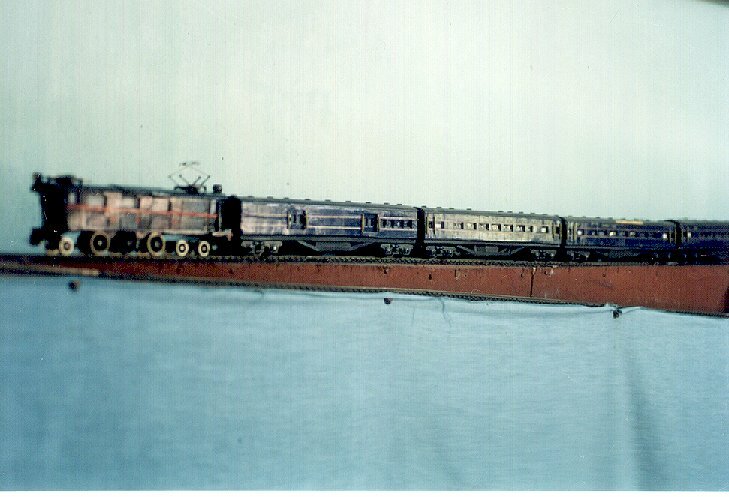 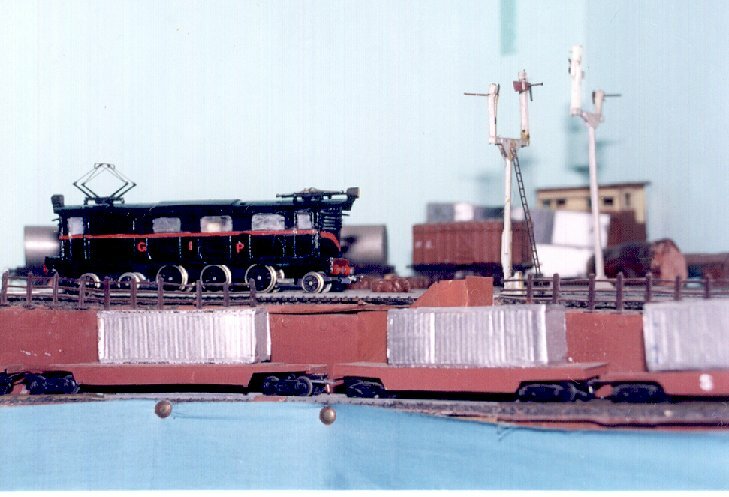 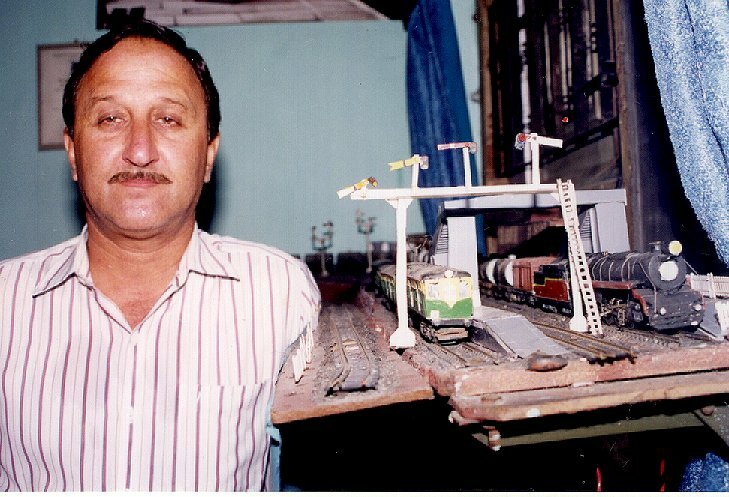 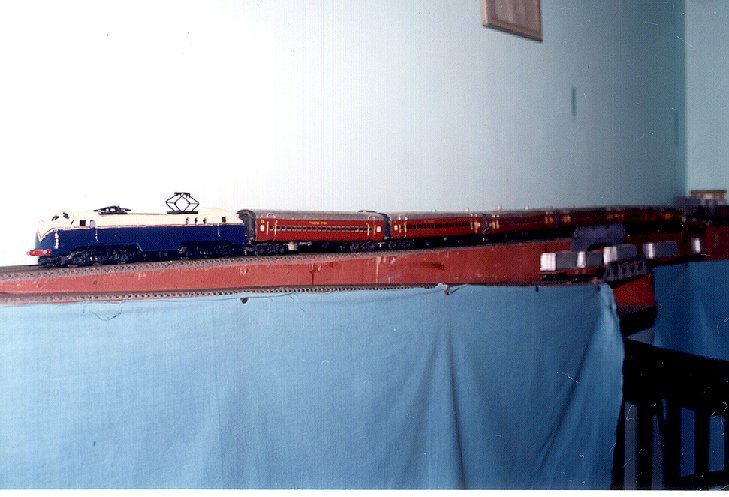 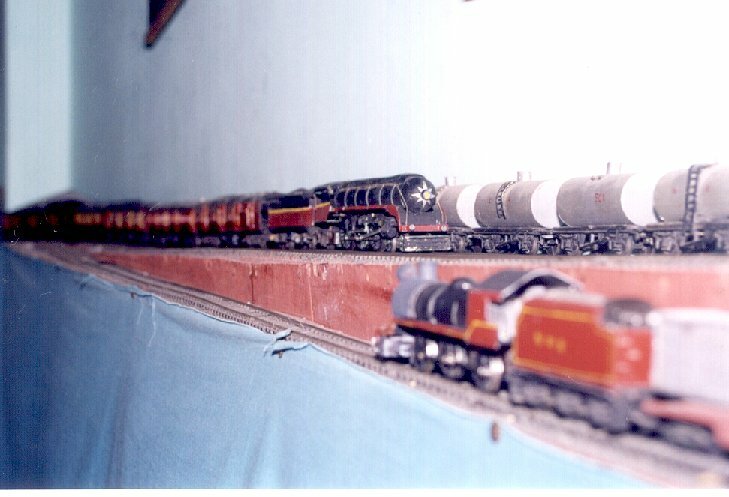 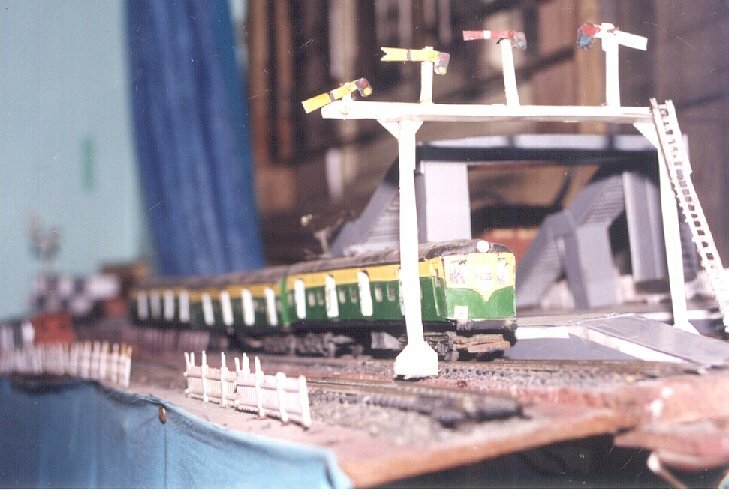 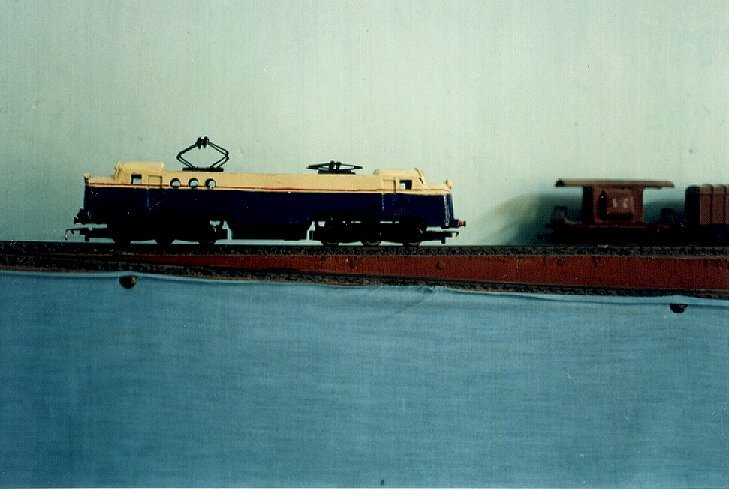 His speciality is to take apart perfectly good working models and rebuilding them to a Indian Railways look. 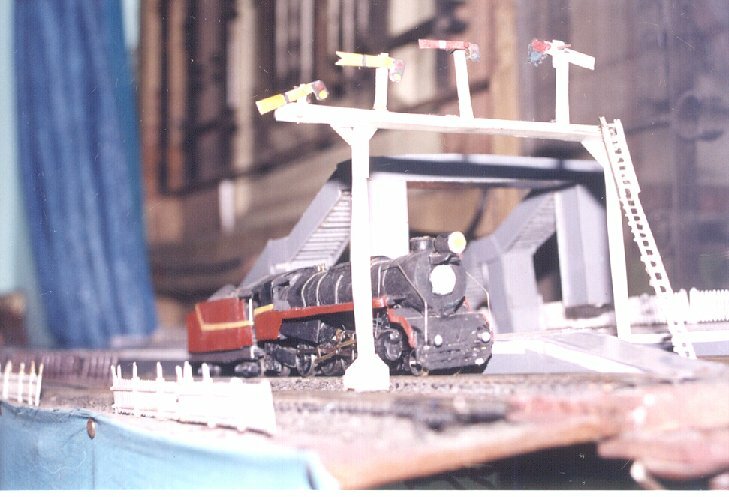 He uses exotic material such as expanded polystyrene, pieces of wood and ivory visiting cards to work his magic. 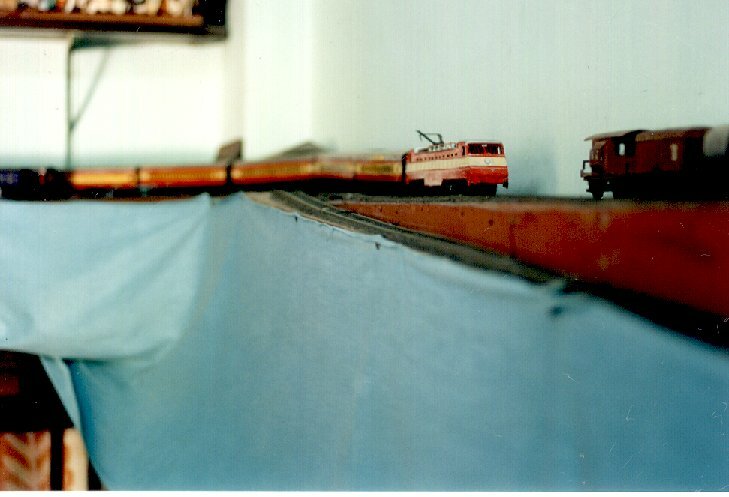 He is not on the internet yet, so any mails for him could be sent care of me. 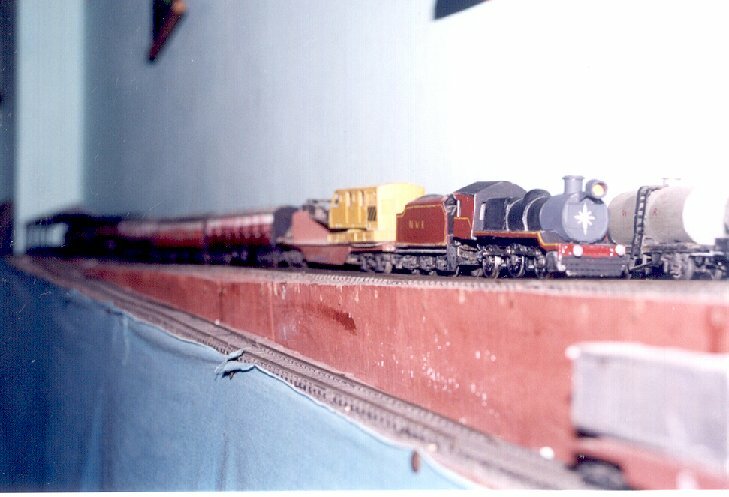 The WCM 2 waits with a WAP 1, the train just inbound on the road 2 is the Calcutta Gaya Express ! 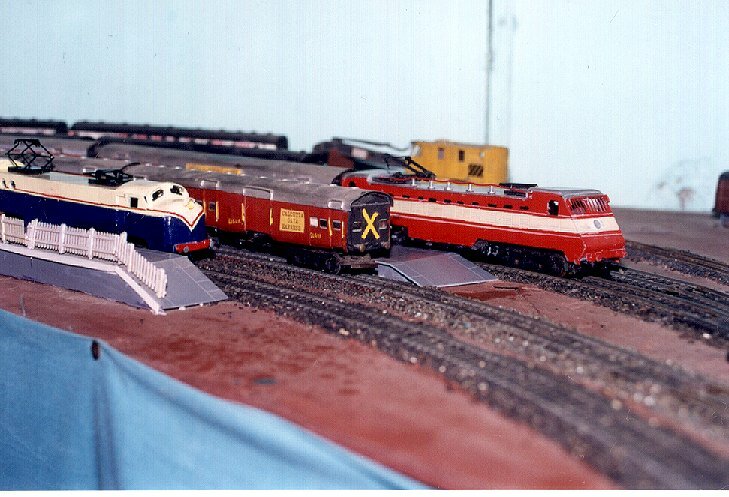 The commited railnut squats in front of the show.